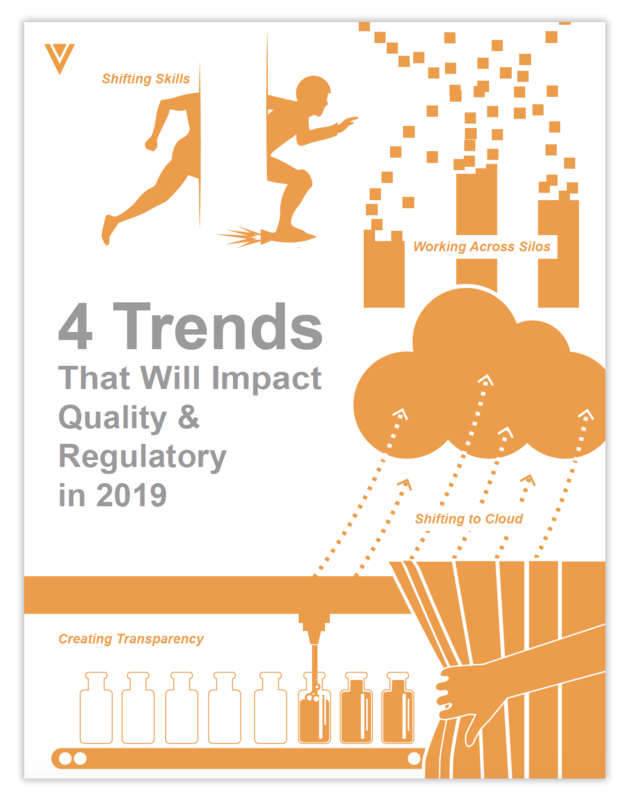 As quality and regulatory professionals, you work in a rapidly changing environment. 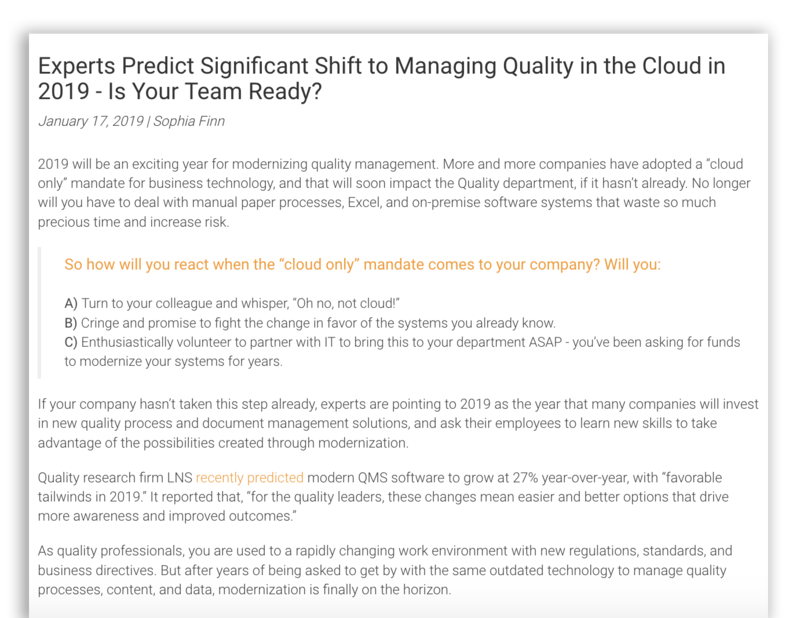 That means that the skills, knowledge, and tools which got you and your team through 2018 may not be sufficient in 2019, and are likely to be inadequate as soon as 2020. How well you, your team, and your company adapt to these changes will determine whether you can gain competitive advantage or risk irrelevance. 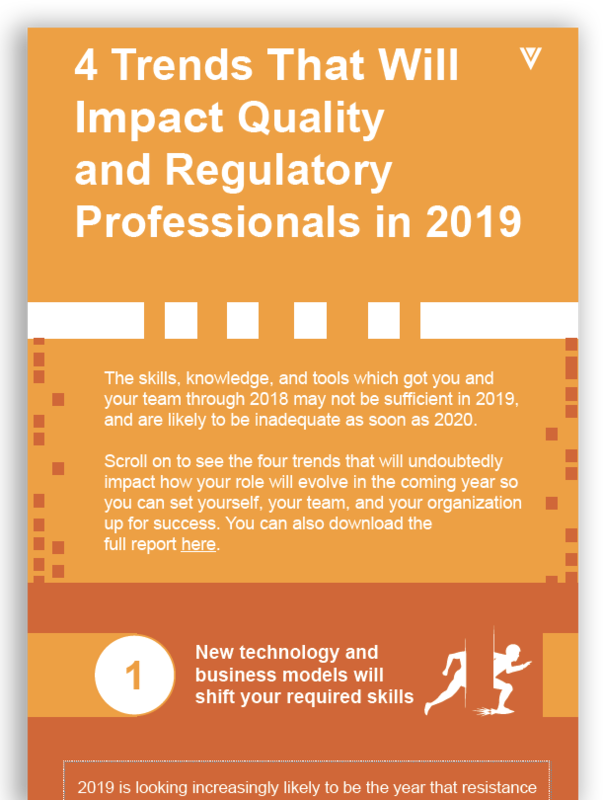 Read on to learn the four trends that will undoubtedly impact how your role will change in 2019 so you can set yourself, your team, and your organization up for success.